Here we are back in action. This is our first post update about WWDC 2015 event. And the first big news is about OS X. I’m a MacBook Pro (or Mac OS X) user and I was excited for this. 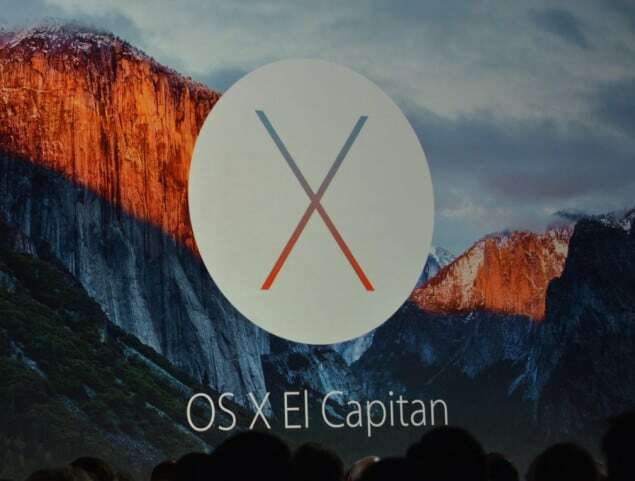 Finally, Apple announced their latest Mac OS X Version called “OS X El Capitan”. The name looks and sounds pretty weird, but it seems to have some interesting features. So lets hope for the best. According to the event presentation, several features like Search, Mail, etc., are improved. Apple’s previous OS X version “Yosemite” had a total visual revamp, but this time they are focusing mainly on features and experiences. They are also bringing their Metal graphics rendering engine to the desktop version. It first appeared on iOS for gaming and development. Though I’m not a big fan of gaming, I’m really looking forward for the changes. Spotlight search has been improved a lot. You can now use natural languages to search for your queries and other actions. Apps launching time are also dramatically improved it seems. This OS X version “El Capitan” will be out for free in the fall. I just saw the name on Wikipedia, it says “El Capitan is a vertical rock formation in Yosemite National Park” (as you can see in the picture above) and you know what, Tim Cook’s (Apple CEO) ideal vacation is “hiking in Yosemite National Park.” Seems like they truly love their names!